The Las Vegas Review-Journal reports that this decision will create a windfall for some real estate investors in Las Vegas who picked up properties for pennies on the dollar. I have previously written an article that addressed assessment super priority liens. 19 states have them. 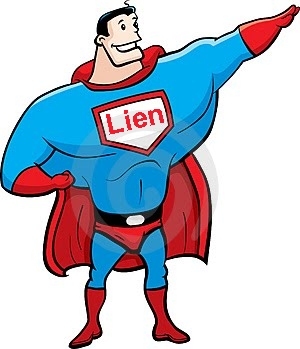 Unfortunately, we do not have super liens in California. The Nevada Supreme Court’s decision is a victory for a group of real estate investors called SFR Investments Pool 1, who in 2012 foreclosed on a super priority lien held by the Southern Highlands Community Association on a home for $6,000. Nevada’s Supreme Court agreed with SFR Investments that the foreclosure wiped out a debt of $885,000 on the property, which was held by U.S. Bank as a first deed of trust. To read the decision, follow this link. The holding by the court that the lien is a “true” super priority lien was supported by the full court. Four members of the Nevada Supreme Court held that junior first deeds of trust can be extinguished through a non-judicial foreclosure process. The three dissenting justices agreed that the lien established by the Nevada legislature is a true super priority lien, but argued that a civil judicial process was necessary to extinguish a first deed of trust rather than a non-judicial process. The bank argued that if a lender cannot adequately protect its substantial residential loan investment, the lender will either cease lending in Nevada or charge higher interest rates to protect itself against greater uncertainty of the borrower’s repayment of the loan. “In addition, if the court finds SFR’s position persuasive, it would reward speculators purchasing valuable real estate properties for pennies on the dollar. Our state’s housing sector can ill-afford another speculator-generated shock,” the bank is quoted as saying in its brief. The news article suggests that some believe that the bank was at fault for the Court’s decision. One member of the board of another Nevada community association was quoted as calling the ruling a positive one for homeowners associations, saying that banks did not always step up and foreclose on homes so that associations could get the assessments they need to maintain their communities. The Nevada Supreme Court’s decision held that U.S. Bank’s objection that it was unfair to allow a relatively nominal lien stemming from nine months of HOA dues to extinguish a first deed of trust overlooked the fact that the bank could have paid off the lien to avert the loss. “The inequity U.S. Bank decries is thus of its own making … ” the majority said.